2H is currently helping clients understand the use and benefits of composite pipe. 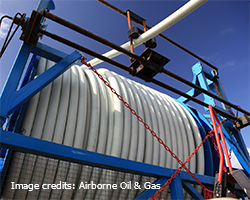 This new technology offers a number of potential advantages in the offshore industry. Its improved fatigue and corrosion resistance performance, and reduced cross-sectional weight compared to conventional steel pipe, may help overcome technical challenges especially in deeper water and harsh environments. 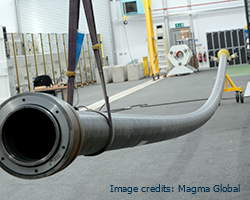 We have experience with a range of composite structures including both thermoplastic composite pipe and composite un-bonded flexible pipe. 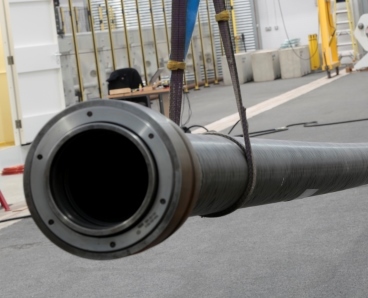 We have established good working relationships with key composite pipe suppliers but remain independent to ensure our focus is to deliver the optimal technical and commercial solutions to our clients. Using in-house software in conjunction with ANSYS and Abaqus, 2H can support detailed design and verification engineering of the composite layup configuration to assist in the design process and third party verification. Analysis can be performed for both the pipe cross section and the complex end termination assemblies. In addition to considering the short term response of composites, such as strength, impact toughness and delamination, the time dependent properties of the matrix, wear and product migration are addressed.